I had an awful haircut once, much too choppy and short, and it was a most painful three months to even grow it to a semblance of normalcy in styling. Of course if I had on hand a hair stylist to tease and coif my hair every morning then perhaps it could have been made cute but other than stars who has the time to perfect a difficult cut on a daily basis. 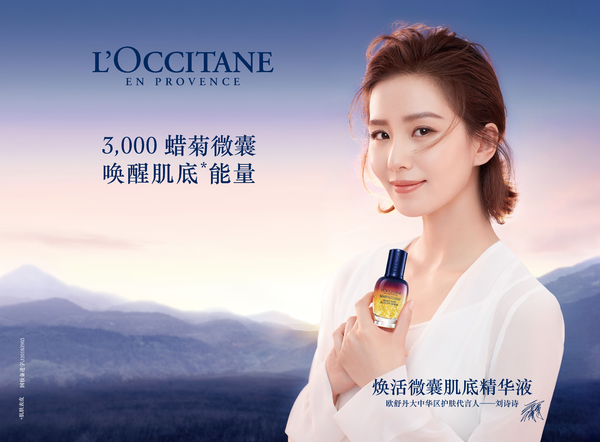 When I saw the latest Liu Shi Shi ad for french skincare line L’Occitane en Provence I immediately was taken with the lovely colors of the background and also how her unruly locks were mussed just so to frame her face beautifully. 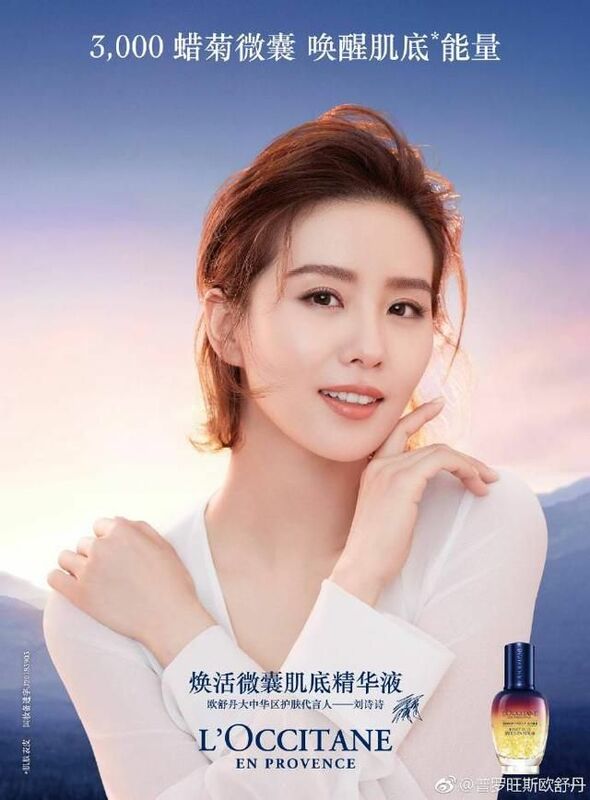 Her hair growing journey continues and if one is as glowing and radiant as Liu Shi Shi even a tough hair cut turns into a refreshing change of style. I love her! She’s gorgeous! Would look lovely in any hairstyle. She looks gorgeous and I love that brand. They make one of the best lip balms and hand creams I have ever used. Lovely skin tones and gorgeous here. Omg i really love L’Occitane brand products. Their hand balms saved my life. Liu Shi Shi looks nice, her husband should take some skin smoothening treatments.